If Priorat is the nutmeg, then Montsant is the mace. Almost completely surrounding the DOQ of Priorat, the DO Montsant is one of the youngest DOs in Catalunya but like the neighboring Priorat viticulture here is centuries old. After years of inclusion in the arguably inferior and certainly more generic DO of Tarragona, Montsant was elevated in 2002 mainly in recognition of its superior wines produced from old vines on soils bearing a striking similarity to those in the Priorat. At lower prices and within spitting distance in quality of its famous neighbor, consumers, sommeliers and winemakers are starting to have a greater appreciation of the charms of this region. Not so surprisingly, the cooperative of Capçanes is situated in the village of the same name, nestled among the foothills of the Montsant mountains. In the 1990's, the co-op began making kosher wines for the Jewish community in Barcelona, and from this exposure in the capital of Catalunya, the property began to attract a greater level of interest. By 1995, a vast investment took place and the whole winery was completely restructured and modernized. The old concrete tanks still remain but they have been supplemented with stainless steel fermentation tanks and a barrel room. The cooperative still makes bulk wine for the local community but supplemented with a series of more serious cuvées. Shortly after the modernization, Eric Solomon visited the cooperative and he was taken by how similar the soils and grapes varieties were to the Priorat where he had just started working with an unknown estate and a lesser known winemaker, Daphne Glorian. Tasting through the various tanks and barrels at Capçanes, he created a cuvée of Garnatxa and Syrah that he named Mas Donis – a wine he jokingly said was his "best Côtes-du-Rhône." Despite the similarities in cépage, the granite and schist terroirs here could not be more different than the calcareous soils of the Rhône valley. 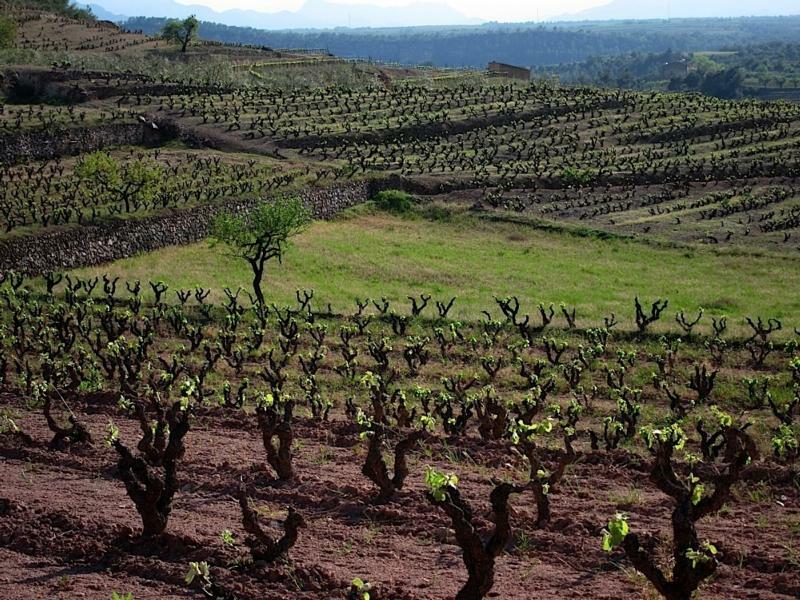 With time and experimentation – moving from barrel aging to aging entirely in concrete and selecting fruit from some of the oldest Garnatxa in the village, Mas Donis has evolved to show a more Priorat-inspired profile. A serious wine at an extremely friendly price. Wine Advocate 90"Medium ruby with flicks of violet; lovely perfum of liquor like cherry and red berries; spicy cake; ripe and complex; floral and masses a ripe crispy fruit; medium body; pure fruit seduction and charme; fine finish with ripe soft tannins and nicely refreshing aftertaste"